Doesn’t it seem like we continually hear about the amazing benefits of kale? Have you ever really looked into what the benefits actually are? The following are 10 health benefits of kale – it honestly is a SUPER super food! 1. Kale is Majorly Nutrient Dense – Kale is a member of the cabbage family. It is related to cruciferous vegetables like cabbage, broccoli, cauliflower, collard greens and brussels sprouts. There are many different types of kale. The leaves can be green or purple in color, and have either a smooth or curly shape. In addition, it contains 3% or more of the RDA for Vitamin B1 (Thiamin), Vitamin B2 (Riboflavin), Vitamin B3 (Niacin), Iron and Phosphorus. 2. Kale is Loaded With Powerful Antioxidants – Kale, like other leafy greens, is very high in antioxidants. This includes beta-carotene, vitamin C, as well as various flavonoids and polyphenols . Antioxidants are substances that help counteract oxidative damage by free radicals in the body. Oxidative damage is believed to be among the leading drivers of aging and many diseases, including cancer. 3. Kale is an Excellent Source of Vitamin C – Vitamin C is an antioxidant that serves many vital functions in the body’s cells. Vitamin C is necessary in order to synthesize collagen, the most abundant structural protein in the body. Kale is much higher in vitamin C than most other vegetables, containing about 4.5 times much as spinach . You may be surprised to know that a cup of raw kale contains more vitamin C than a whole orange! 4. Kale Can Help Lower Cholesterol – Cholesterol has many important functions in the body. One of them is being used to make bile acids, the substances that help us digest fats. The liver turns cholesterol into bile acids, which are then released into the digestive system whenever we eat a fatty meal. When all the fat has been absorbed and the bile acids have served their purpose, they are reabsorbed into the bloodstream and used again. Substances called bile acid sequestrants can bind bile acids in the digestive system and prevent them from being reabsorbed. This reduces the total amount of cholesterol in the body. 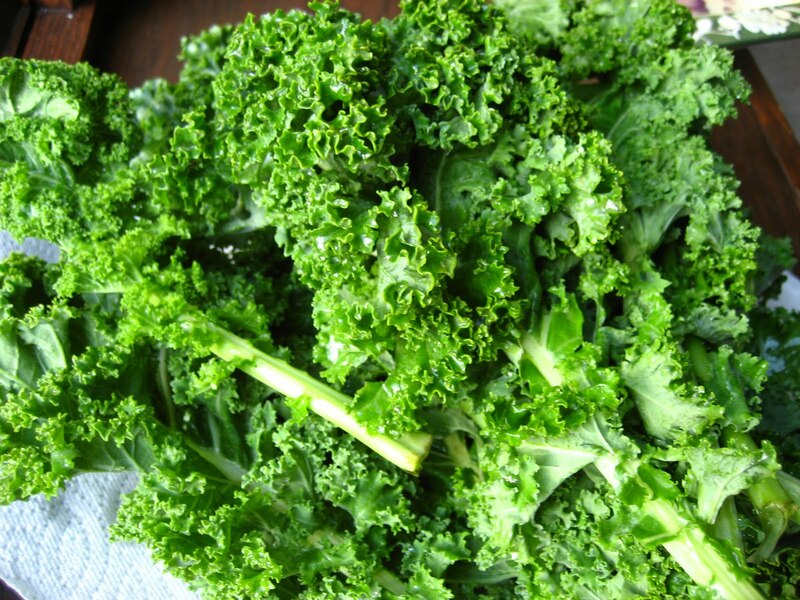 Kale actually contains bile acid sequestrants, which can lower cholesterol levels. This should lead to a reduced risk of heart disease over time. 5. Kale is One of The World’s Best Sources of Vitamin K – Vitamin K is an important nutrient. It is absolutely critical for blood clotting, and does this by “activating” certain proteins and giving them the ability to bind calcium. Kale is one of the world’s best sources of vitamin K, with a single raw cup containing almost 7 times the recommended daily amount. 6. There Are Numerous Cancer Fighting Substances in Kale – Cancer is characterized by the uncontrolled growth of cells. Kale is actually loaded with compounds that are believed to have protective effects against cancer. This includes sulforaphane, a substance that has been shown to help fight the formation of cancer at the molecular level. It also contains a indole-3-carbinol, another substance that is believed to help prevent cancer. 7. Kale is Very High in Beta-Carotene – Kale is often claimed to be high in vitamin A, but this is false. It is actually high in beta-carotene, an antioxidant that the body can turn into vitamin A. For this reason, kale can be an effective way to increase your body’s levels of this very important vitamin. 8. Kale is a Good Source of Minerals – Kale is high in minerals, some of which many people are deficient in. It is a good, plant-based source of calcium, a nutrient that is very important for bone health and plays a role in all sorts of cellular functions. It is also a good source of magnesium. Eating plenty of magnesium may be protective against type 2 diabetes and heart disease. Kale also contains quite a bit of potassium, a mineral that helps maintain electrical gradients in the body’s cells. Adequate potassium intake has been linked to reduced blood pressure and a lower risk of heart disease. 9. Kale is High in Nutrients that Protect the Eyes – One of the most common consequences of aging is that eyesight tends to get worse. Fortunately, there are several nutrients in the diet that can help prevent this from happening. Two of the main ones are lutein and zeaxanthin, carotenoid antioxidants that are found in large amounts in kale and some other foods. Many studies have shown that people who eat enough lutein and zeaxanthin have a much lower risk of macular degeneration and cataracts, two very common eye disorders. 10. Kale May be Able to Help You Lose Weight – Kale has several properties that should make it a weight loss friendly food. It is very low in calorie yet it still provides significant bulk that should help you feel full. Because of the low calorie and high water content, kale has a low energy density. Eating plenty of foods with a low energy density has been shown to aid weight loss in numerous studies. Despite the low amount of calories, it does contain small amounts of protein and fiber.